26 Apr Can Middle Eastern Hypermarkets leverage technology to redefine their businesses & create a new play-field for their businesses? a)How they intend to differentiate their offerings to consumers who are very well connected through the internet, who prefers researching their purchases prior to buying & convenience of shopping? b)Have hypermarkets ever thought of business model wherein they grow their scale of operations 10X with minimal investments? c)How to tap unexplored territories to grow their sales & market share? I am sure CEOs, CFOs and CIOs of these companies must have an answer to my above questions but I would like to share my learnings of studying Alibaba’s vision i.e. “Using disruptive marketing as Growth Engine”. Every strategist would agree with me that if you cannot defeat your competitor then change the rules of the game and that’s what Alibaba did with the launch of their project i.e. Ling Shou Tong which means Connect Retail. The basic premise of this project is to tap unexplored markets by utilizing existing Alibaba’s strengths of the supply chain, a wide array of products & vast suppliers base, efficient delivery & order processing, order fulfillment & logistics support. Alibaba, in order to bring efficiencies into their existing businesses and using their existing strengths, has ventured into territory which has been untapped so far by the launch ofProject Connect Retail. They have adopted 100,000 small grocery stores and connected them with their integrated POS system by means of the app, wherein these small grocery owners could benefit from buying directly from Alibaba suppliers which provides Low Prices Everydaybrand promise. This project has created Retail ecosystem wherein these small groceries procure directly from Alibaba thereby eliminating distributors and improving their buying margins and passing the cost benefits to end customers. Customers stand to gain from price benefits and good quality products backed by Alibaba’s commitment. In return, Alibaba gains wider geographical spread using their core strengths i.e. procurement, wider varieties, a large base of suppliers- all neatly knitted into logistics operations. That’s what I call disruptive marketing or creating a different play-field thus leaving behind all your competitors. Connect Retail app also provides Business Intelligence to these small groceries i.e. as to which item is selling better in their shops and how much they need to stock and how they need to merchandise or display. 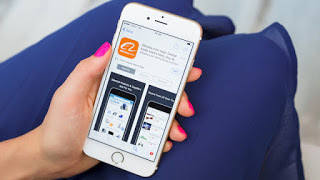 This app also provides information on best-selling products in entire Alibaba’s network and provides access to these products to small groceries in China. Imagine the scale of operations and growth Alibaba would be achieving thus optimizing its existing investments in warehousing and creation of a large array of products through widespread vendors and bringing both suppliers and end consumers together. In UAE alone, there is said to be over 20,000 small groceries, which may be getting serviced through various distributors currently. Now if any Hypermarkets try to tap into these segments by providing access to their better procurement, better offers and better supply chains, this initiative would re-define these hypermarket’s market share and would leave their competitor far behind. 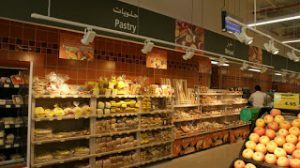 Basically, it is out of box thinking approach which is currently lacking in Middle Eastern hypermarkets as they are still thinking traditionally i.e. brick& mortar way by expanding through their existing formats or within their malls. I would encourage these hypermarket retailers to study Alibaba’s Ling Shou Tong model and learn more to redefine their leadership stance in the region. I would be more than glad to discuss my learnings which I have acquired by closely following Alibaba’s retail 3.0 with any of the big or small hypermarket players in the Middle East market, thus helping my Retail sector to grow beyond boundaries.